If you haven't noticed, it's winter. And if you don't have a car, getting around in the cold can be a nightmare. 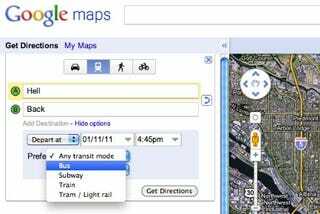 But Google Maps wants to help reduce the number of transfers you endure between trips. Hallelujah!